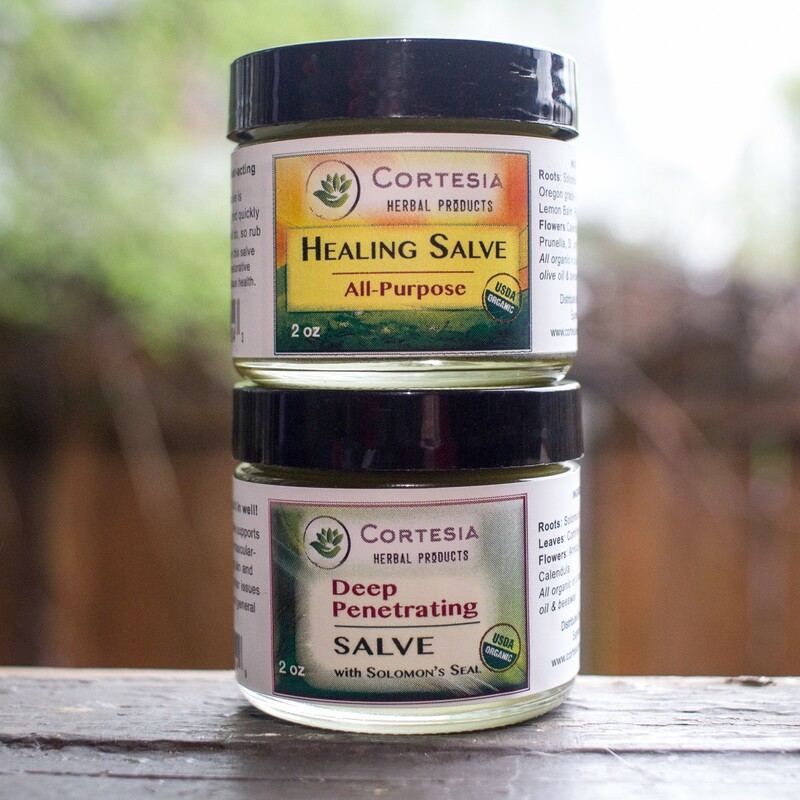 Our Organic Salve Variety 2-pack contains two of our customer favorites: Deep Penetrating Salve and Healing Salve (2oz sizes). 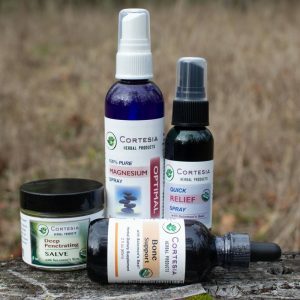 Our popular organic Deep Penetrating Salve is target-specific for deep tissue support, strains, and joint health. 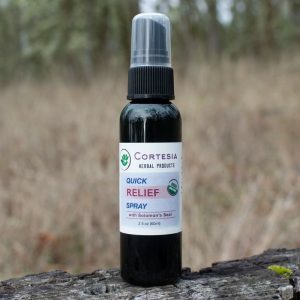 Perfect for active lifestyles and for soothing minor issues associated with typical daily activities and exercise. 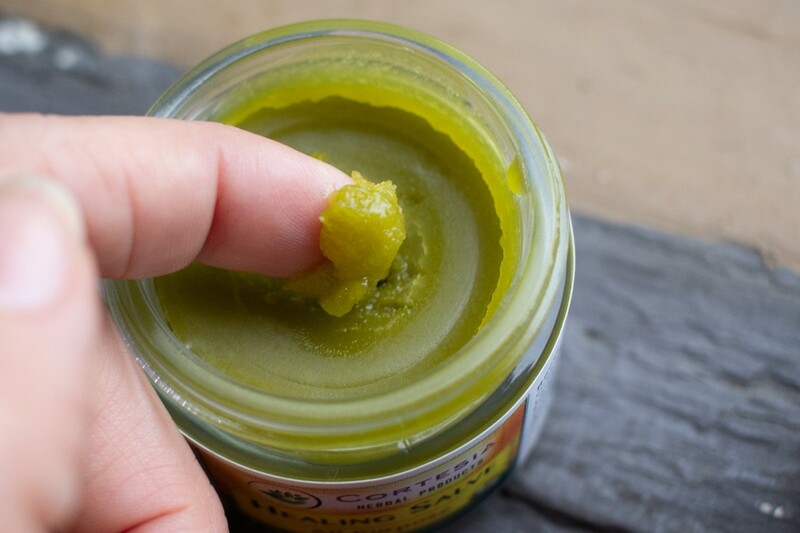 Our organic Healing Salve is enjoyed for its all-purpose first aid qualities and for supporting skin health. Perfect for the medicine cabinet. 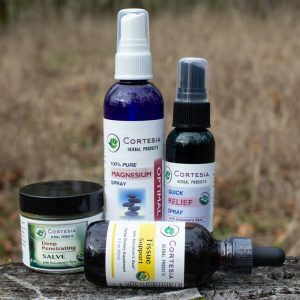 Ingredients: Calendula, Chickweed, Prunella, St. John’s Wort, Yarrow, Comfrey, Lemon balm, Plantain, Usnea/Oak Moss, Bloodroot, Oregon Grape, and Solomon’s Seal, all organically grown and prepared in a base of extra virgin organic olive oil and organic beeswax. Unscented.